Playing off the space theme of the large murals on the north and south façades, the roofdeck was designed with round "launch pads" and green roof in a radial pattern to evoke overlapping blast patterns of spaceship launches. The firepit was intentionally placed at the center of one of the "launch pads" as part of this theme, with red Japanese maple trees in raised planters as sparks. 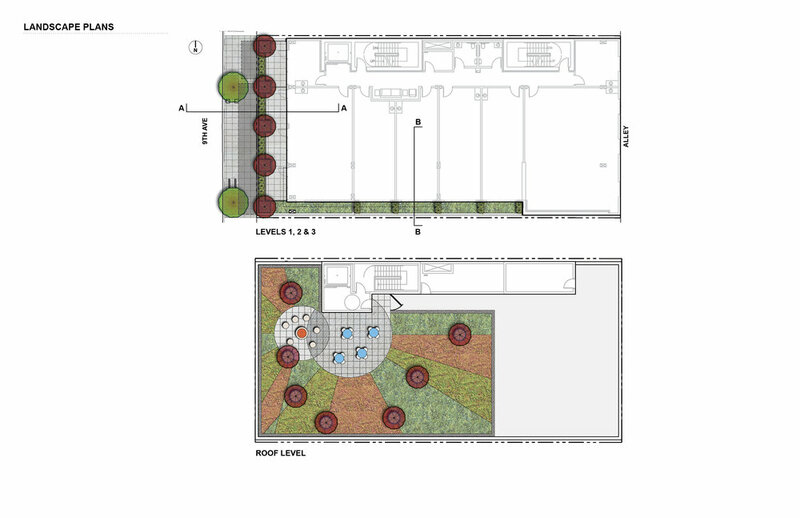 A creating and interesting roofdeck was essential as a fifth façade with the taller adjacent buildings in the South Lake Union neighborhood. At the second level on the south, green roof and raised planters with bamboo provide visual interest and soften the façade. 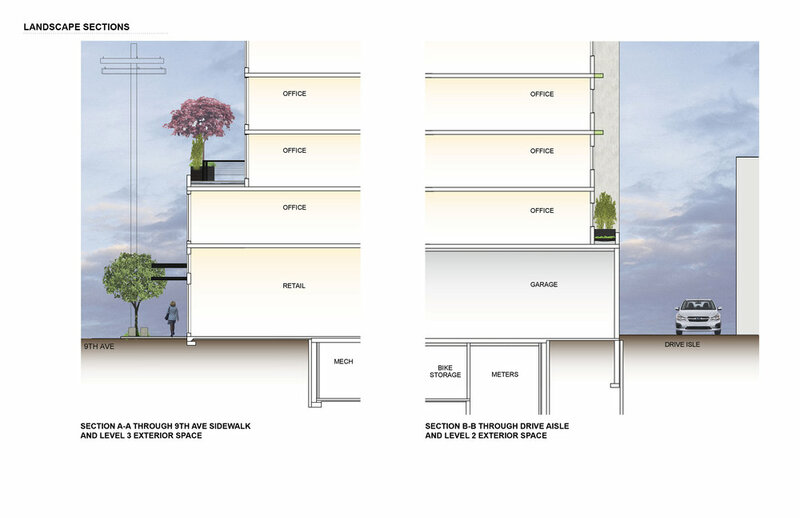 At the edge of the third floor facing 9th Ave, raised planters with bamboo and trees provide visual interest, soften the façade and provide shade to the 3rd floor offices from the western sun. Two street trees in tree pits and minimalist street furniture help delineate the public realm while still allowing ample walking space in a highly pedestrian area.